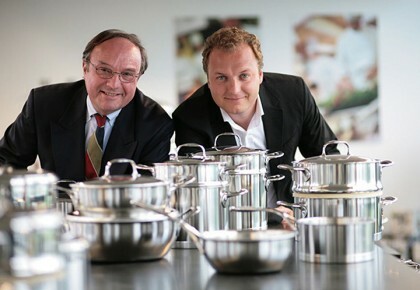 Since its foundation in 1908, Demeyere has evolved from a Belgian family business into a global benchmark in stainless steel cookware. For over 100 years, we have been working on excellence, sustainability and innovation. To start this captivating family saga we need to step back to 1904, when Emmanuel Demeyere (*Heule 1861) moved to Antwerp. The plumber and zinc worker from the town of Courtrai in Belgium was commissioned by the well-known biscuit company De Beuckelaer to apply his excellent skills to manufacturing tin boxes for the company. His son, Maurice Karel Demeyere (*Kortrijk 1891), inherited his father’s talent. He soon learnt the trade as a metalworker and turned out to be an enterprising risk taker. In 1908 he established himself as an independent entrepreneur in a property in the Appelstraat in Borgerhout, where the seeds of the current family business were sown. As a 17 year old he ran a company with four labourers, all of them older than 40! In short, Maurice knew how to work. During WW1 he served in the Engineering Corps in the Belgian army. Being a very precocious person, he made a virtue of necessity by learning as much as he could about a diversity of technical topics. A military handbook from this period, treasured by the family, is clear proof of this. From 1919 onwards he picked up the business activities where he had left off, together with his brother Willem. 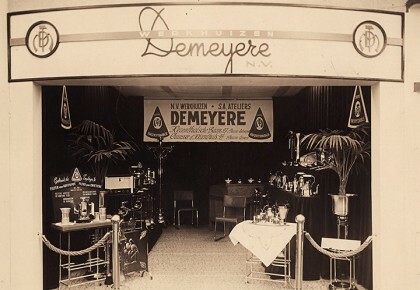 The Demeyere brothers gradually built up the company. In 1921 they took over a moribund firm in household items and relocated their own company to the Herentalsebaan in Deurne, followed by the official establishment in 1922 of nv Demeyere & Zonen. Their father Emmanuel stayed on as an adviser to his sons until his death in 1927. An important recognition of craftsmanship for the new company came in the form of a large order from the Antwerp "Bell Telephone" company. For this communications company with its worldwide subsidiaries, Demeyere manufactured millions of capacitor boxes in the 20s, in addition to their own range of products. Business was doing extremely well. By 1931 the first printed catalogue arrived with all the household items they manufactured at that time. This catalogue is still treasured as a precious trinket. It shows us all the diverse metal objects the company manufactured. Apart from the typical kitchen utensils such as kettles, coffee and tea sets, you can also find the coal boxes, plant pots and smoker sets! During WWII the company got the name "Werkhuizen Demeyere". The company largely survived these difficult years by manufacturing large soup pots, required at the time for the charitable food distribution. Luckily the war did not paralyse the company, succession was assured. Maurits Emmanuel Demeyere (*Antwerp 1921) graduated as an engineer and from 1946 onwards he adjusted the company’s direction once and for all into manufacturing household items. Maurits is the inventor of "Silvinox", a world exclusive in the field of surface treatment of cooking utensils. Thanks to Silvinox the cooking pots, frying pans, kettles, coffee pots and other items retain their shiny and pure exterior, despite intensive use and washing up. This did a great deal for the expansion of the company’s name. The range of household items manufactured gradually increased. In 1980 he opened a new factory (30,000 m2/7.5 acres) in Herentals in response to the growing demand. 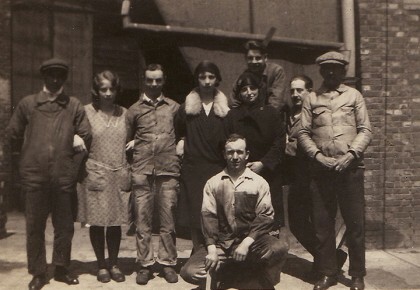 With Maurits Jan Demeyere (*Wilrijk 1947), the third generation entered the company. He had basic training as a civil engineer in electro-mechanics and as such was a very suitable successor to face the challenges of the future. In 1975 he joined the company. Maurits not only followed the technical developments closely, he also had an eye for new trends. With a view to the future he soon initiated a study into a new cooking technique: induction cooking. 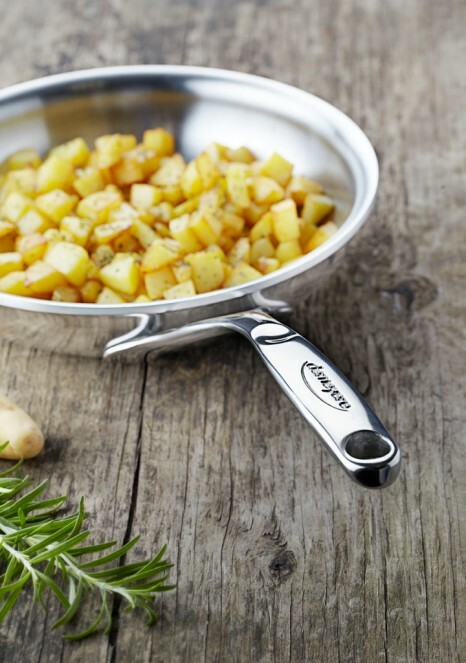 The moment this revolutionary and energy-saving cooking method broke through, Demeyere was ready with a wide range of suitable and stylish products. Induction cooking requires new metal alloys for the base and the sides of the cooking pots in order to distribute the heat evenly. Maurits had the entire production site relocated to Herentals. The familiar plant in the Herentalsebaan in Deurne was finally closed down after 77 years. His son, Christophe Demeyere (*Leuven 1973), has been working for the company since 2004. The young master in economics and marketing is now the fourth generation. In 2008 Demeyere was approached by Zwilling J.A. Henckels – world leader in the production of knives. Zwilling J.A. Henckels wished to take over the Demeyere business operations. 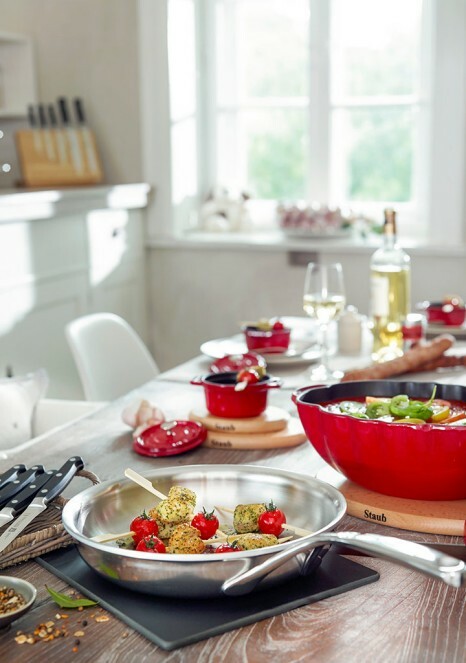 Christophe managed the integration of Demeyere into the Zwilling Group, with Demeyere retaining its own identity. 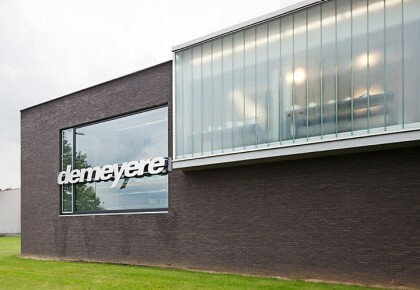 With both brands complementing each other, the excellent growth over the past few years and the evolutions in the market of cooking and lifestyle products, Demeyere is confident about the future. To meet the growing demand, the business premises in Herentals will be expanded in 2010 with a new industrial hall and additional storage space. For a large part, the success of Demeyere lies with its employees; the man or woman behind the pan. The loyalty among the staff is remarkable. Many of the employees have been working for Demeyere for decades and through the years they have acquired a huge amount of expert knowledge. Not only the managers have family ties, many members of staff also have some sort of family connection. Fathers, mothers, daughters and sons have all followed their careers at Demeyere. The interaction between excellent management and a driven workforce ensures the pans that come off the conveyor in Herentals nowadays are of top quality and can be sold with a 30-year guarantee. The sum of all employees is what makes Demeyere so unique.